Snug fit for both Left and Right Joy-Con Controller. 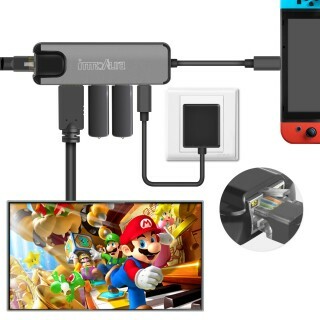 Perfect for Switch game in Somatosensory mode. Enhance your gaming experience. Provides a firm and comfortable grip during tennis game play. Easy and simple to use. Made of high quality ABS material and allows easy access to buttons and controls of Joy-Con. Include 2 pcs Tennis Racket and 2pcs Hand Straps. Joy-Con controllers are not included. 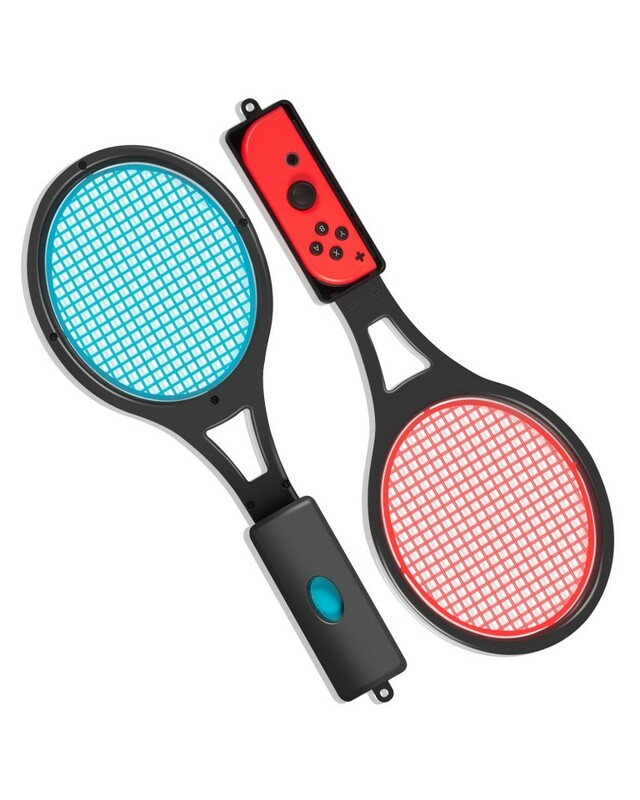 innoAura tennis racket is specially created for Switch game in Somatosensory mode. 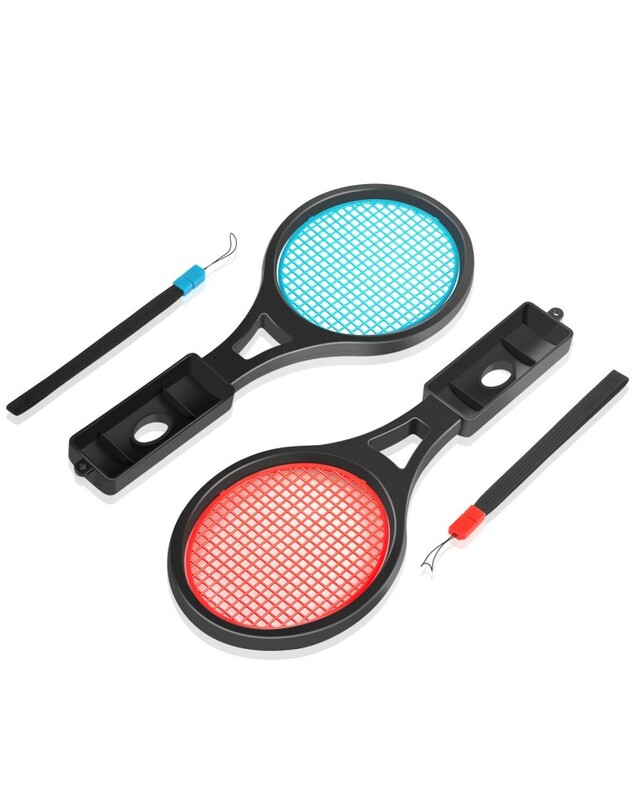 Unlike others, our tennis racket is easy and simple to use, very convenient. It also provides a firm and comfortable grip during game play and allows you to have a reality tennis experience. Does this work with all tennis games ? 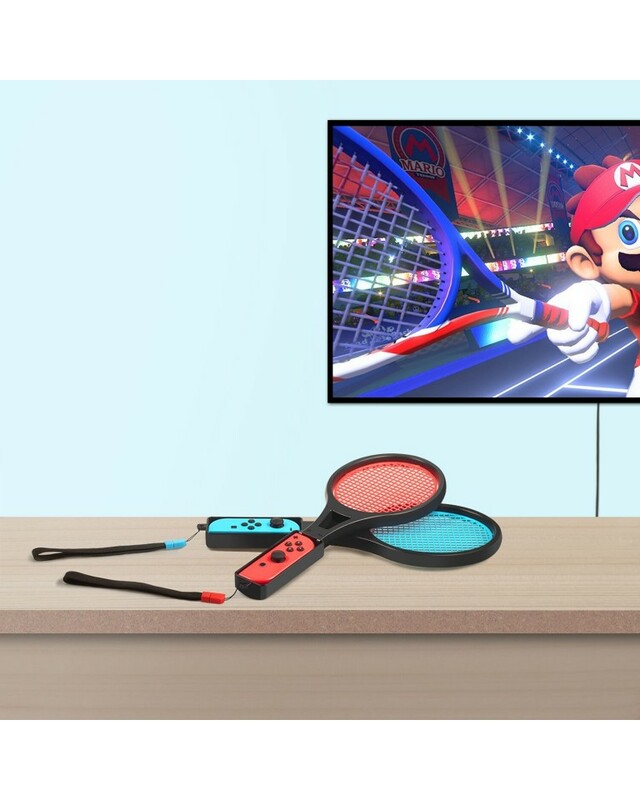 Yes, it works with all Nintendo Switch tennis games in Somatosensory mode. This is for the original joycon right? 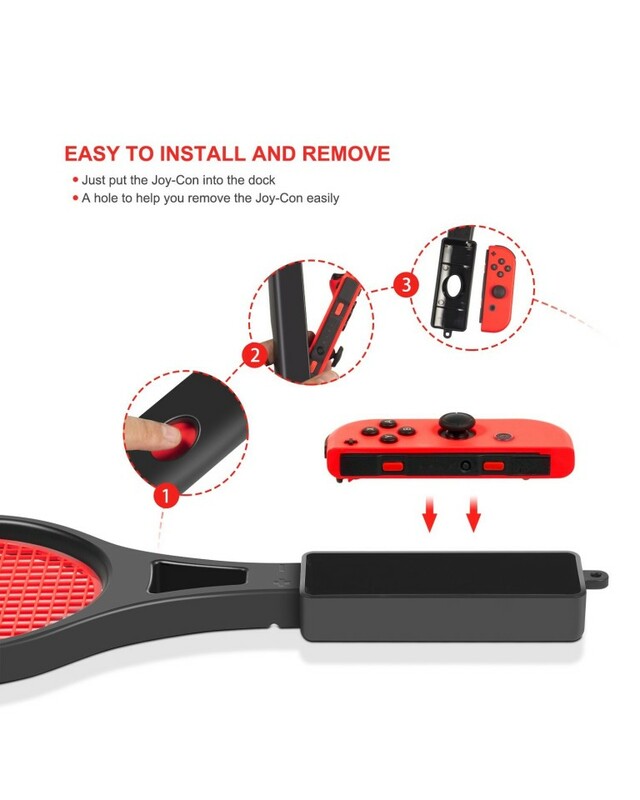 Yes, it's specially designed for the Nintendo Switch Joy-Con controller. Does this only work with Mario Tennis Aces? 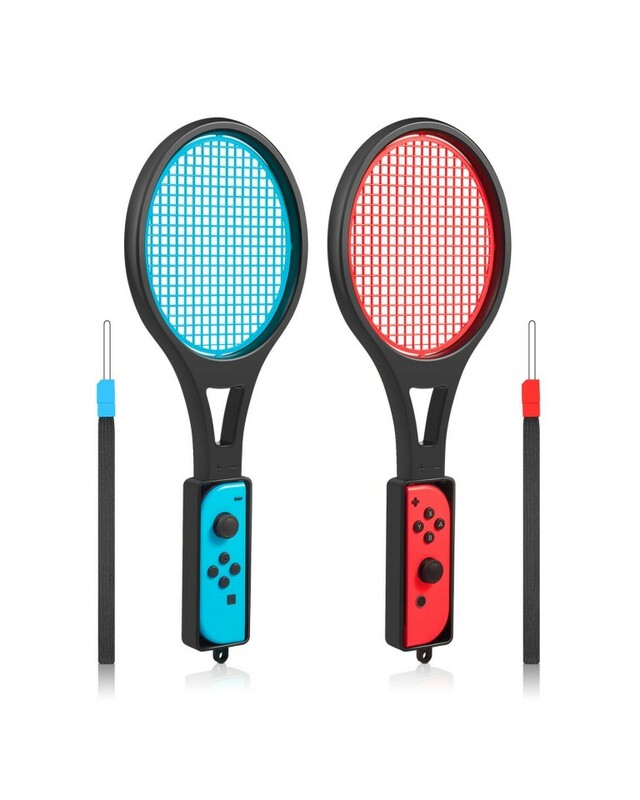 It also works with other Switch tennis games in Somatosensory mode.